No.130043. 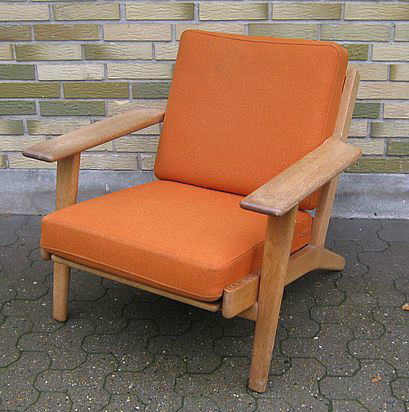 Hans J Wegner rocking easy chair in beech. Made by FDB. With use wear. Price 5800 kr. Arne Jacobsen barstol,model 7 eren i sort skind. Stolen fremstår i meget pæn stand. Pris 3900 kr. Varenr 2304. No.130040. 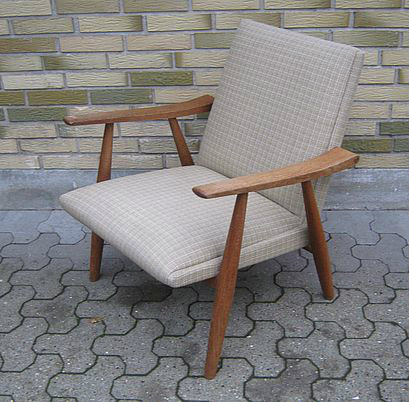 Hans J Wegner easy chair GE-290 in oak, with use wear and small holes on fabric. Price 6900 kr. No.11972. 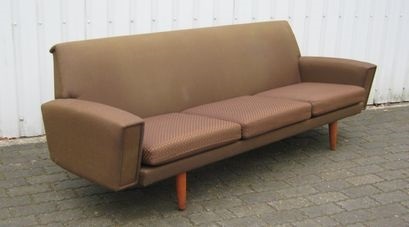 Hans J Wegner sofa in oak, use wear and holes on fabric. Price 10900 kr. No.3620. Arne Jacobsen, oxford kontorstol i blå med slidtage. Pris 3000 kr. 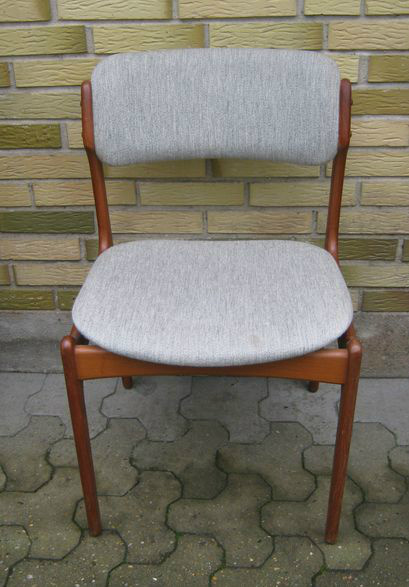 Arne Jacobsen oxfod chair with fabric. 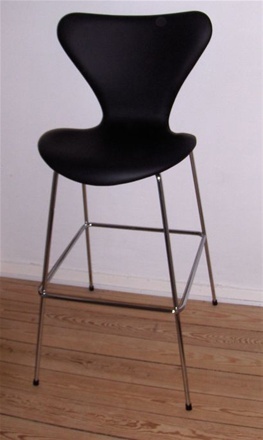 The chair is made by Fritz hansen and has some use wear. Price 3000 kr. No.10576. 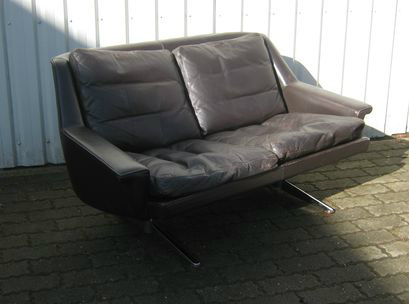 Hans J Wegner, string sofa i eg og uld.Model GE-671. Fremstår med små skjolder og slidtage. Forhør ang pris. 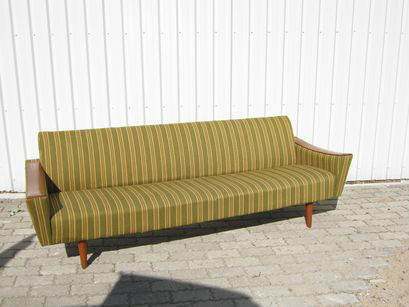 Hans J Wegner string sofa model GE-671 in oak and fabric. The sofa has use Wear,stains and marks on Wood. Price on request. No.11593. 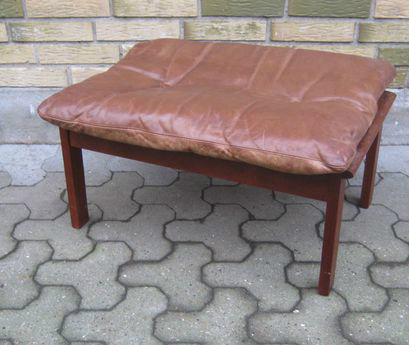 H. Brockmann-Pedersen sofa in teak, with use wear. Price 7000 kr. No.11446. Helge Sibast, par stole i palisander. Sætpris 1100 kr. 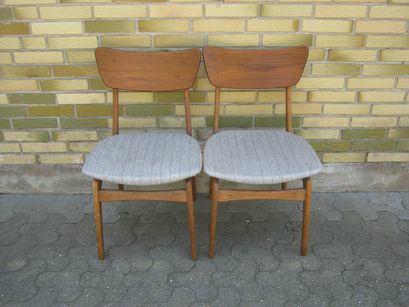 Helge Sibast, pair of chairs in rosewood, with use wear and holes on fabric. Set price 1100 kr. No.10512. 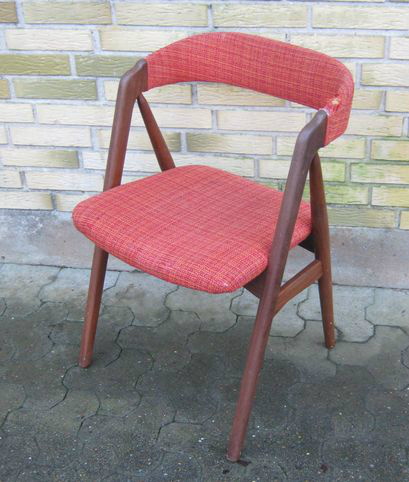 Sigurd Ressel falcon stol med brugsslidtage. Pris 3000 kr. 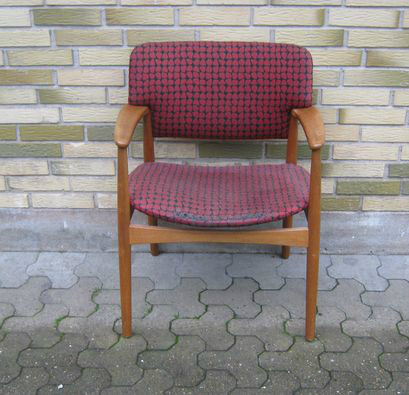 Sigurd Ressel falcon chair with use Wear . Price 3000 kr. No.10488. 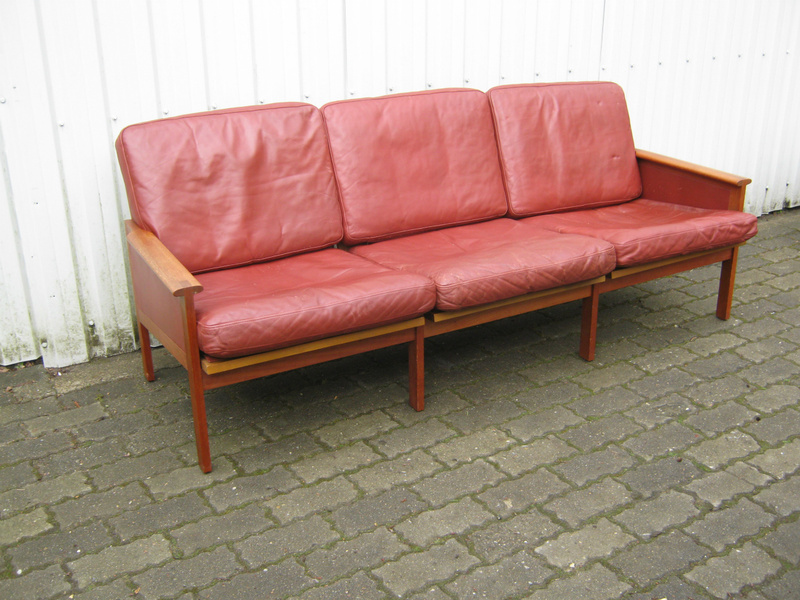 Hans J Wegner 4 pers sofa i teak model GE-536. Med brugsslidtage. Forhør ang pris. 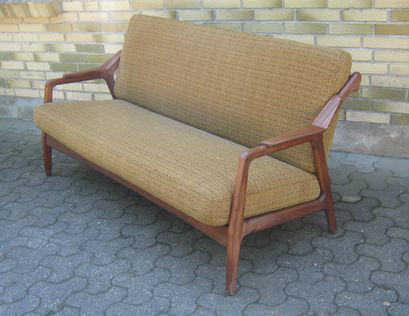 Hans J Wegner 4 pers sofa GE-536 in teak and fabric with use Wear. Price on request. No.10687. Hvilestol i stof med slidtage. Pris 1500 kr. 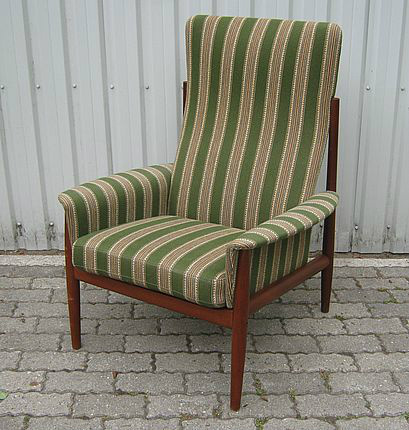 Easy chair in fabric with heawy use Wear. Price 1500 kr. No.11008. 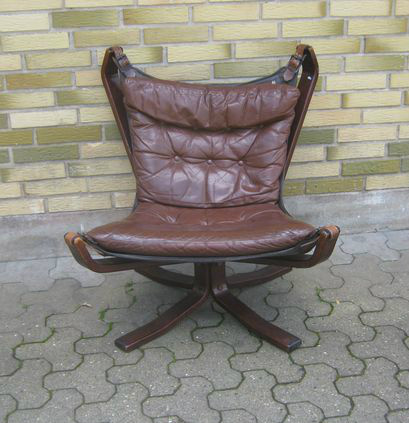 Verner Panton kræmerhus stol med huller og slidtage. Pris 2800 kr. 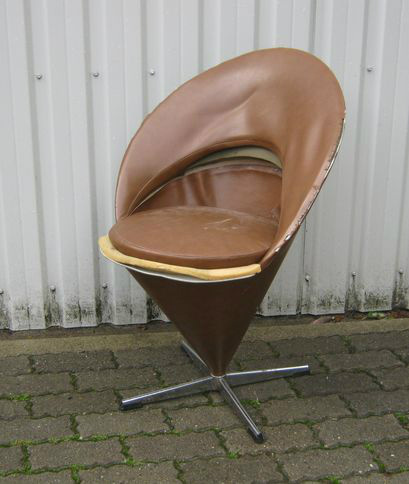 Verner Panton chair with heawy use Wear and holes on leather. Price 2800 kr. 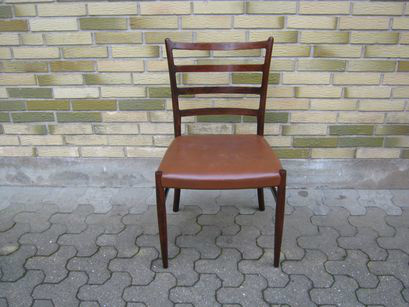 Stol i palisander og sort skind, tegnet af Rosengren Hansen. Forhør ang pris. Varenr 1962. No.10407. Sæt på 6 stole i teak og lyst uld. Sætpris 2400 kr. 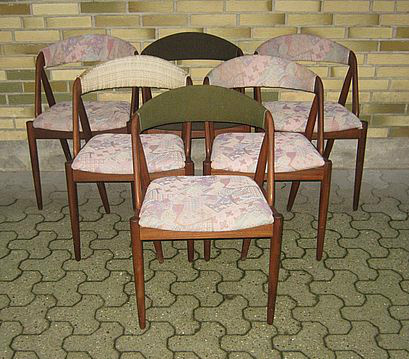 Set of 6 chairs in teak and fabric, with normal use Wear. Setprice 2400 kr. No.10182. 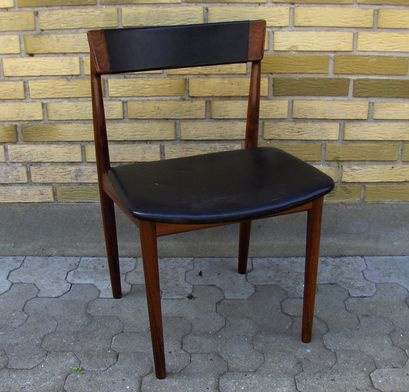 Illum Wikkelsø skammel i teak med hynde af skind. Pris 1000 kr. 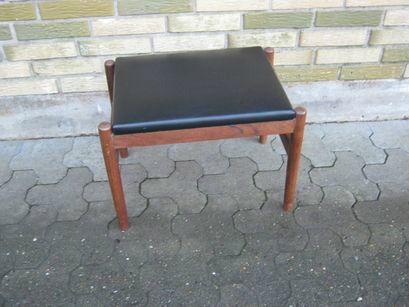 Illum wikkelsø stool in teak in good condition. Price 1000 kr. No.10481. Hvilestol i uld med ben i mørk bøg. Stolen fremstår i god stand. Pris 1500 kr. 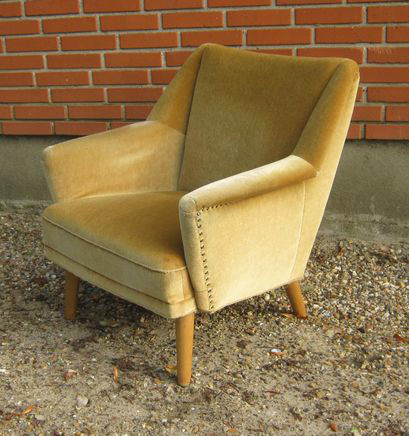 Easy chair in good condition. Price 1500 kr. No.10840. Armstol i teak med skjolder på stof. Pris 600 kr. 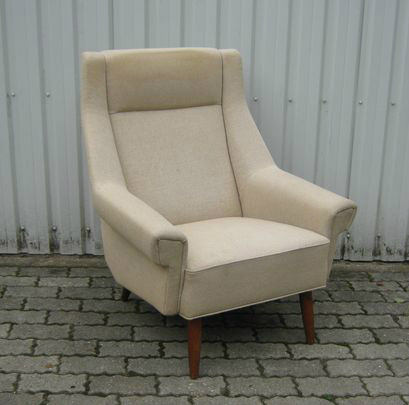 Armchair in teak with use Wear and stains on fabric. Price 600 kr. No.10988. 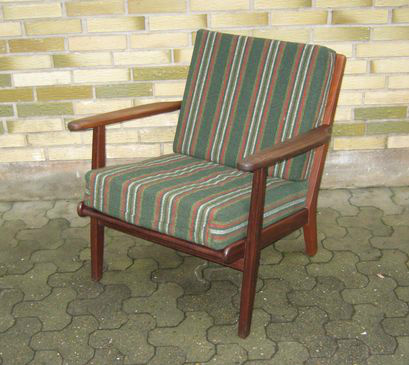 Kai Kristiansen stol i palisander og sort skind med brugsslidtage. Pris 700 kr. 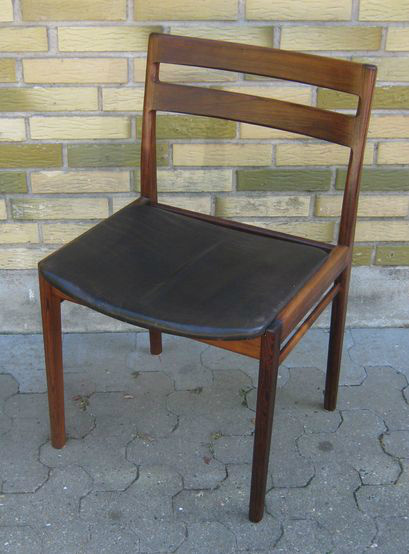 Kai Kristiansen chair in rosewood with use Wear. Price 700 kr. No.11011. Sæt på 5 palisander stole med slidtage og huller på stof. Sætpris 3000 kr. 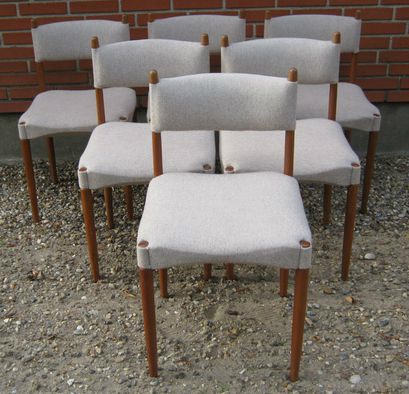 Set on 5 rosewood chairs with use Wear and holes on fabric. Setprice 3000 kr. No.11183. 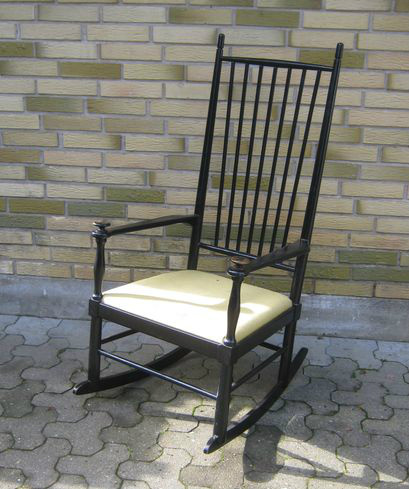 Farstrup armstol i teak med små huller på stof. Pris 750 kr. 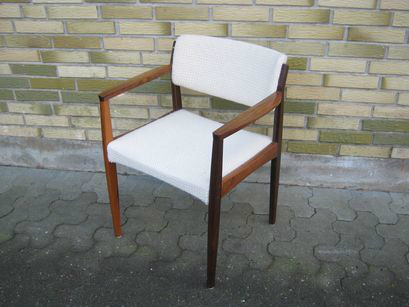 Farstrup armchair in teak with use Wear and small holes on fabric. Price 750 kr. No.11200. 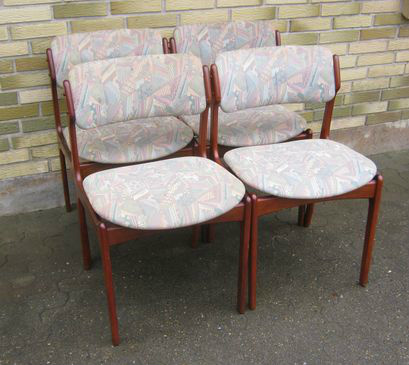 4 pers sofa i teak med løse hynder i blå uld. Den fremstår med huller på stof. Pris 4900 kr. 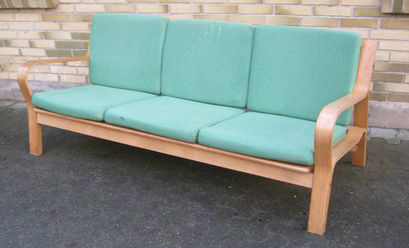 4 pers sofa in teak with use Wear and holes on fabric. Price 4900 kr. No.11214. Hvilestol i skind med slidtage på armlæn. Pris 1000 kr. 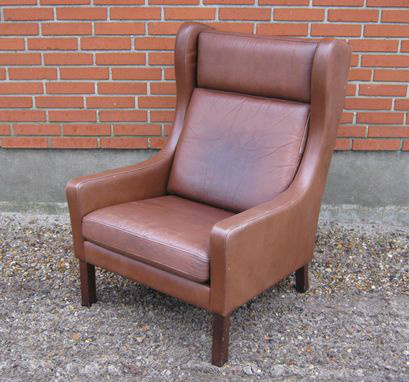 Easy chair in leather with heawy use Wear on armrest. Price 1000 kr. No.11215. Farstrup møbler par armstole i teak med skjolder på stof. Sætpris 1600 kr. 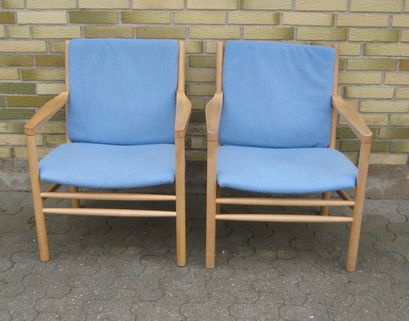 Farstrup pair of armchair in teak with use Wear and stains on fabric. 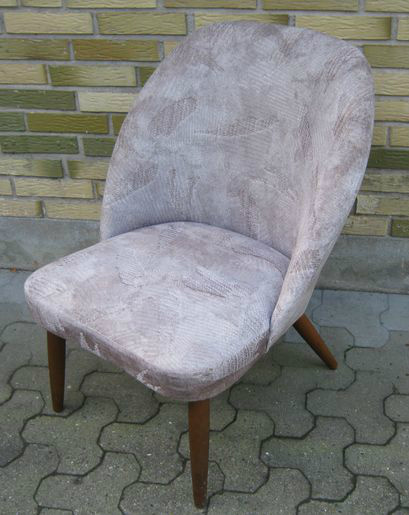 Setprice 1600 kr. No.11222. 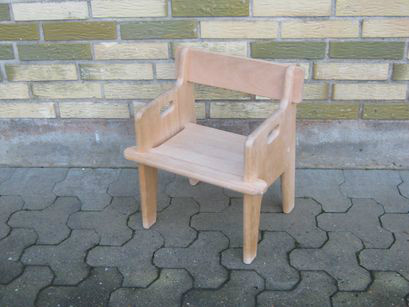 Stol i teak med brugsslidtage. Pris 400 kr. Desk chair in teak, with use Wear. Price 400 kr. No.11248. Skammel i teak og skai. Pris 550 kr. Stool in teak with use Wear. Price 550 kr. No.11265. 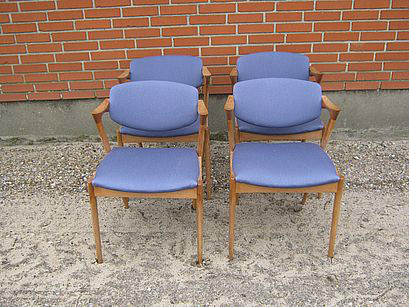 3 pers sofa i sort skind med alm brugsslidtage. Pris 3700 kr. 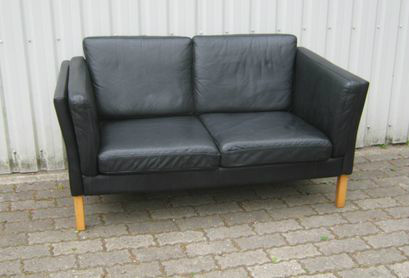 3 pers sofa in Black leather with use Wear. Price 3700 kr. 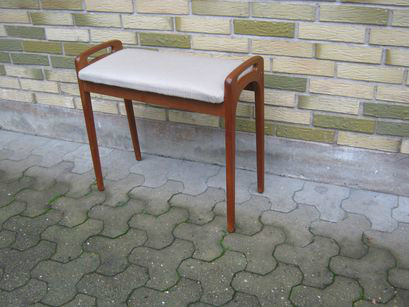 Stol i teak med brugsslidtage. Pris 400 kr. Desk chair in teak, with use Wear and holes on fabric. Price 400 kr. No.11254. Hans J Wegner sæt på 4 lufthavns stole med huller på stof. Sætpris 6000 kr. 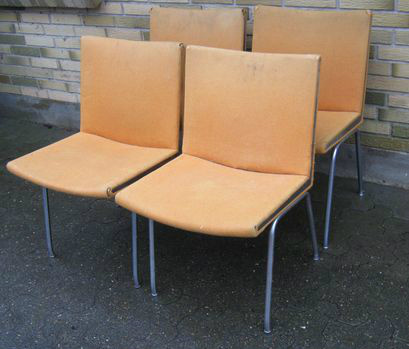 Hans J Wegner set on 4 chairs, with use Wear and holes on fabric. Setprice 6000 kr. No.11283. Armstol i palisander og lyst uld. Pris 550 kr. Arm chair in rosewood and fabric with use Wear. Price 550 kr. No.11288. Hvilestol i lyst uld med alm brugsslidtage. Pris 1100 kr. 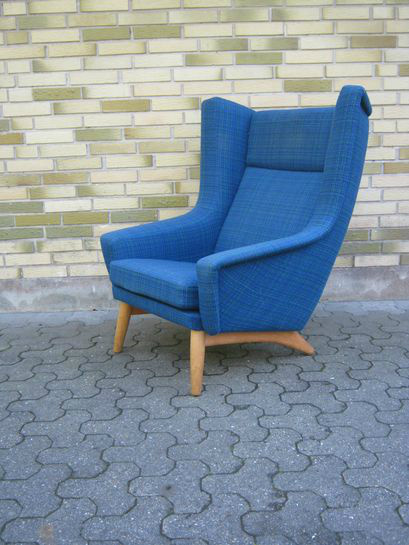 Easy chair in fabric, with normal use Wear. Price 1100 kr. No.11314. Hvilestol i teak og rød uld med brugsslidtage. Pris 1200 kr. 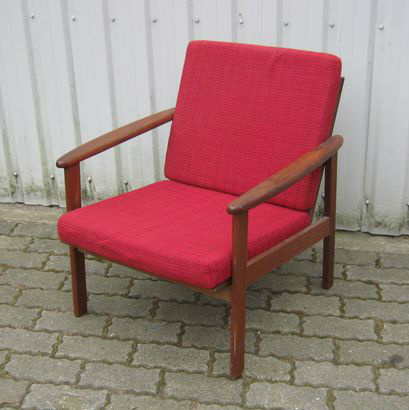 Easy chair in teak and red fabric, with use Wear. Price 1200 kr. No.11318. Armstol i teak og eg med brugsslidtage. Pris 400 kr. Arm chair in oak and teak, with use Wear. Price 400 kr. No.11339. 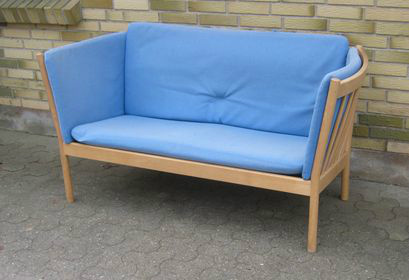 Sofa sæt i brun skind med brugsslidtage.Sætpris 5200 kr. 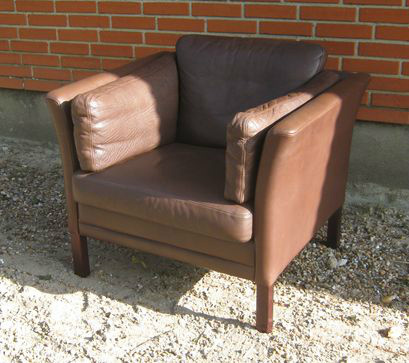 Sofa set 2+3 pers in Brown leather, with use Wear. Setprice 5200 kr. No.11394. Sæt på 6 stole i teak. Sætpris 2500 kr. 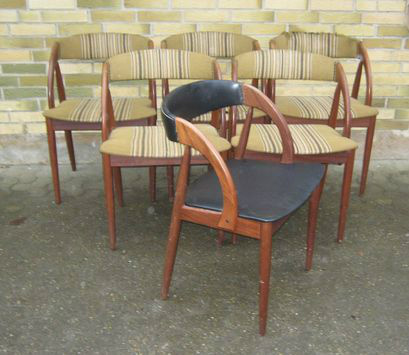 Set on 6 chairs in teak, with use wear. Set price 2500 kr. No.11404. 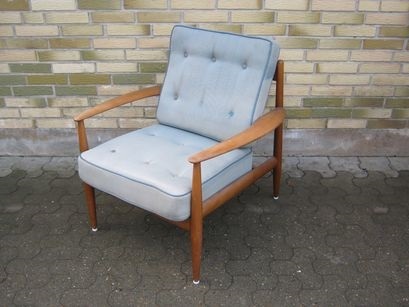 Finn Juhl arm stol i palisander og grøn uld. Pris 3900 kr. 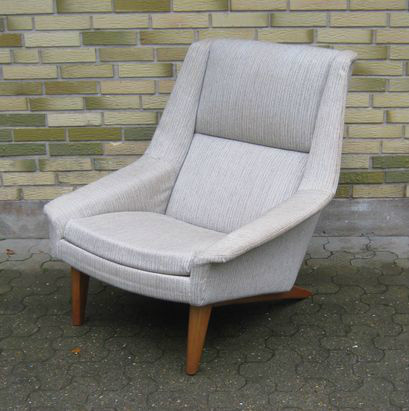 Finn Juhl arm chair in rosewood and fabric, with use wear. Price 3900 kr. No.11405. Hvilestol i brun skind. Pris 1300 kr. 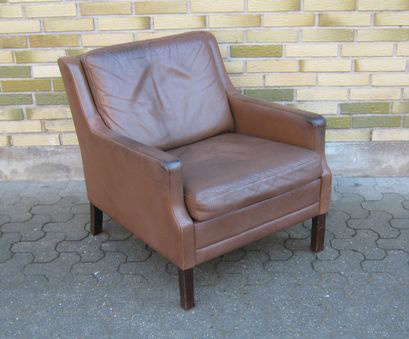 Easy chair in brown leather with use wear. Price 1300 kr. No.11410. 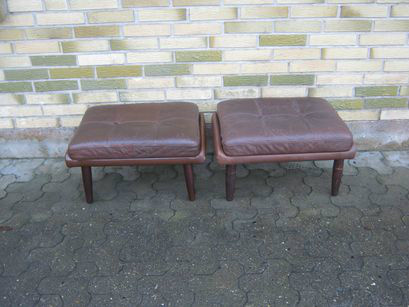 2 pers sort læder sofa. Pris 2100 kr. 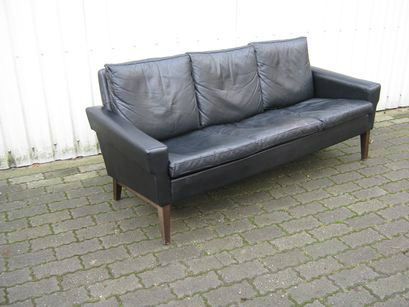 Black leather sofa 2 pers with use wear. Price 2100 kr. No.11414. Svend Åge Madsen par stole i teak og eg. Sætpris 800 kr. Svend Åge Madsen pair of chairs with use wear. Set price 800 kr. No.11440. 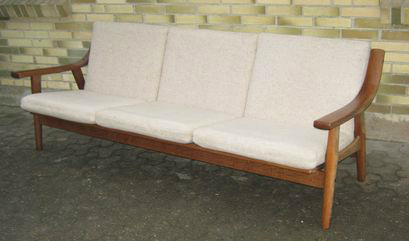 Illum Wikkelsø 3 pers sofa in teak og skind. Pris 6000 kr. 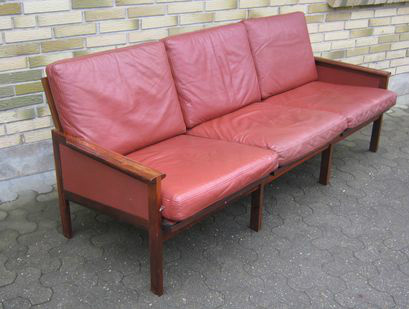 Illum Wikkelsø 3 pers sofa in teak and leather, with use wear. Price 6000 kr. No.11441. Illum Wikkelsø højrygget hvilestol i teak og skind med brugsslidtage. Pris 2000 kr. 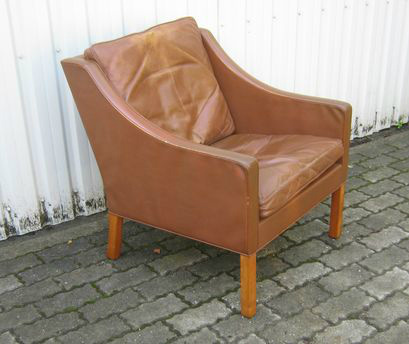 Illum Wikkelsø high back easy chair in teak and leather. Price 2000 kr. No.11467. Hvilestol i teak og uld. 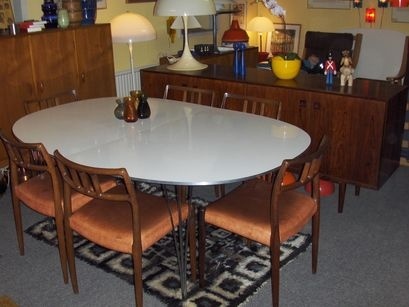 Pris 2400 kr. 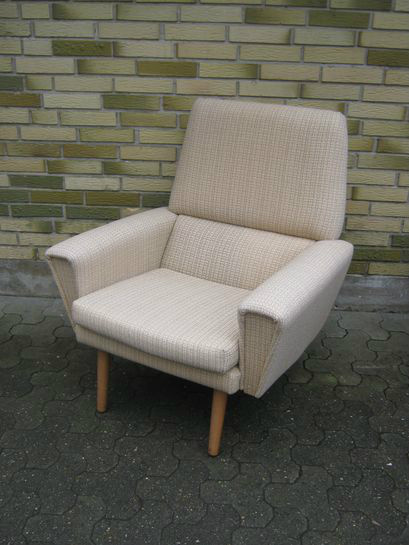 Easy chair in teak and fabric, with use wear. Price 2400 kr. No.11614. 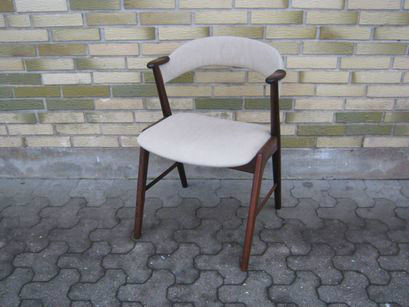 Arne Vodder chair in dark beech, with use wear. Price 600 kr. No.11617. 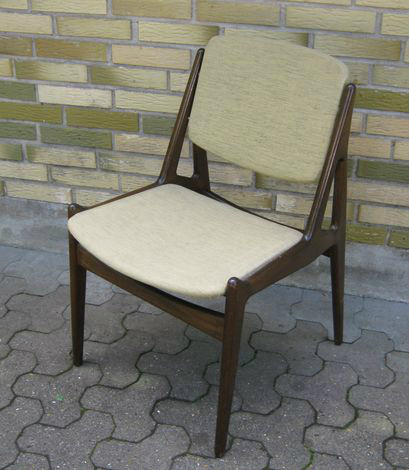 Kai Kristiansen arm chair in teak, with use wear and with traces of paint on wood. price 950 kr. No.11644. 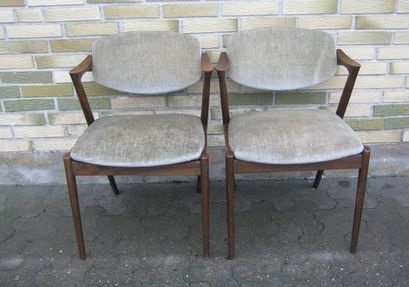 N O Møller pair of chairs in teak, with stains and use wear. Set price 2400 kr. No.11683. Chair in rosewood, with use wear. Price 650 kr. No.11716. 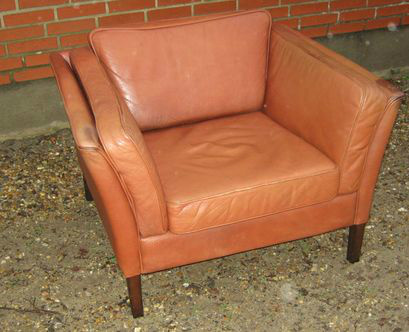 Easy chair in leather, with stains and use wear. Price 1000 kr. No.11718. 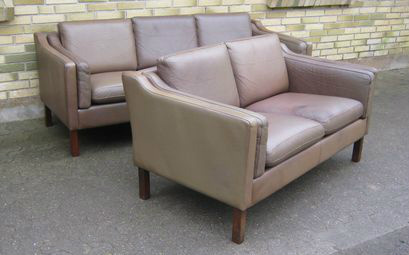 3 pers sofa in leather, with use wear. Price 2900 kr. No.11719. 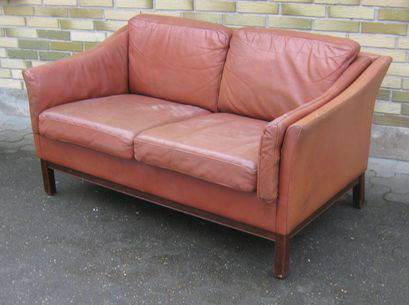 2 pers sofa in leather, with use wear and some marks on leather. Price 2100 kr. No.11730. 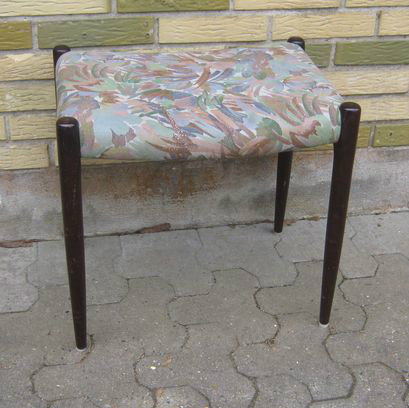 Spøtrup stool in teak, with use wear. Price 550 kr. No.11763. 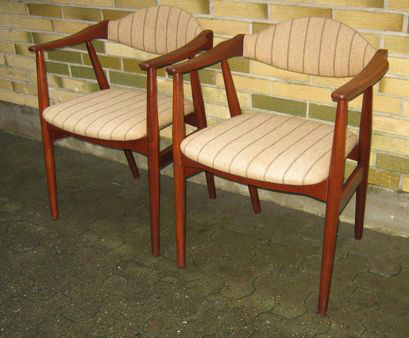 Johannes Andersen, set on 4 chairs in teak and fabric. Made by Uldum Mobler. The chairs has some use wear. Setprice 1600 kr. No. 11814. 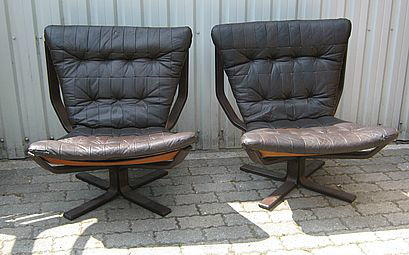 Hans J Wegner 3 pers sofa GE-530 in dark oak, with some use wear. Price 8900 kr. No. 11817. 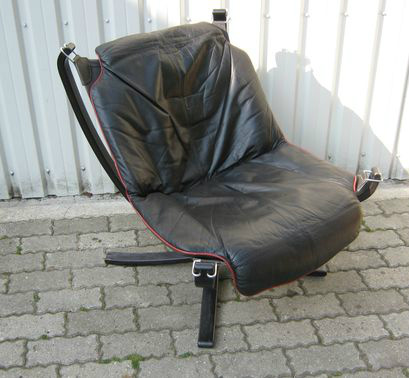 High back easy chair, with use wear. Price 1500 kr. No. 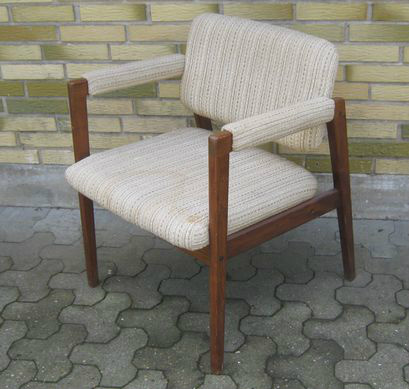 11819.Kai Kristiansen arm chair in rosewood and teak. It has some stains and use wear. Price 1250 kr. No.11853. 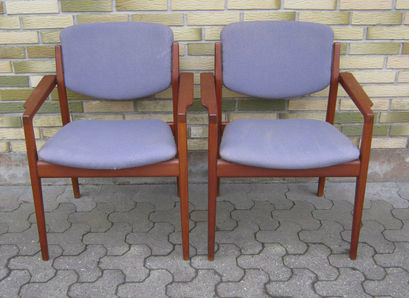 Kai Kristiansen pair of arm chairs in dark oak model 42, with use wear and some stains. Set price 3000 kr. No.11856. 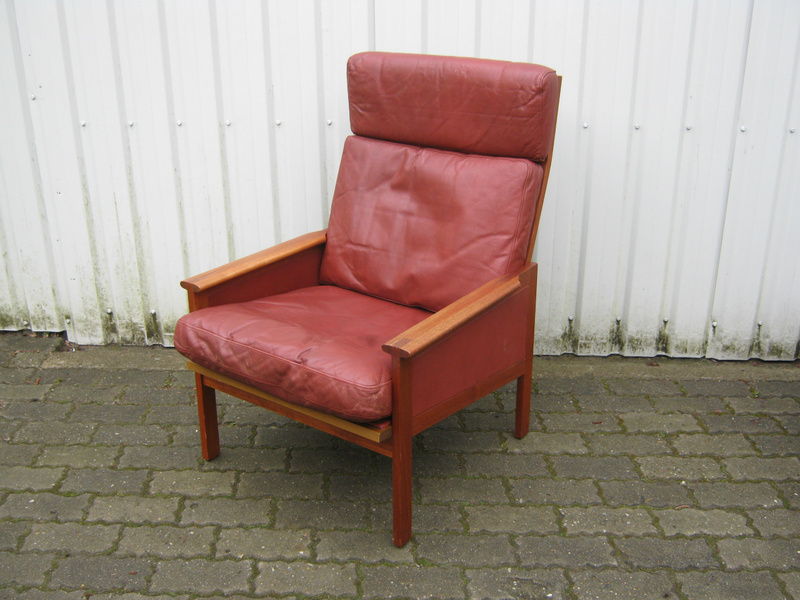 Grethe Jalk easy chair in beech, with use wear and holes on fabric. Price 3900 kr. No.11858. 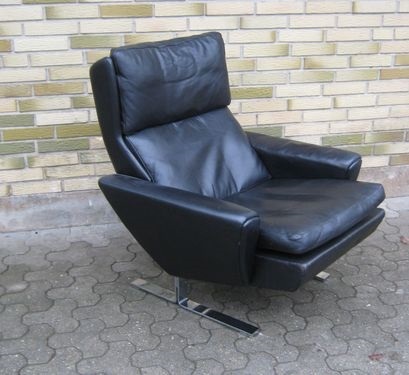 Easy chair in black leather, with use wear. Price 2100 kr. No.11861. 3 pers sofa in fabric, with use wear and some Color difference on fabric. Price 2100 kr. No.11870. 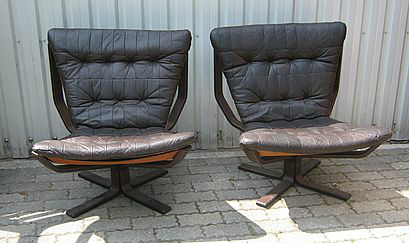 2 pers sofa by ESA, with use wear and marks. Price 3000 kr. No.11873.RES/ON HOLD. 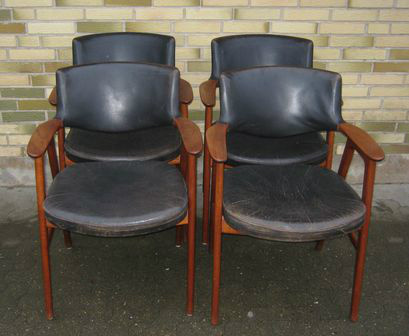 Erik Kirkegaard set on 4 chairs in teak, with use wear on the leather. Set price 6000 kr. No.11898. 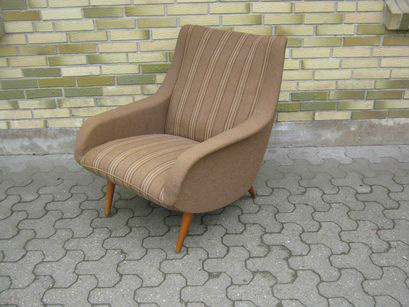 Easy chair in fabric, with use wear. Price 1900 kr. No.11905. 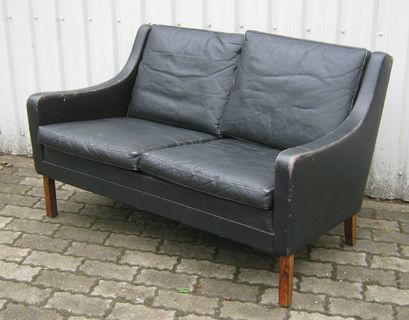 2 pers black leather sofa, with use wear on the leather. Price 1900 kr. No.11909. 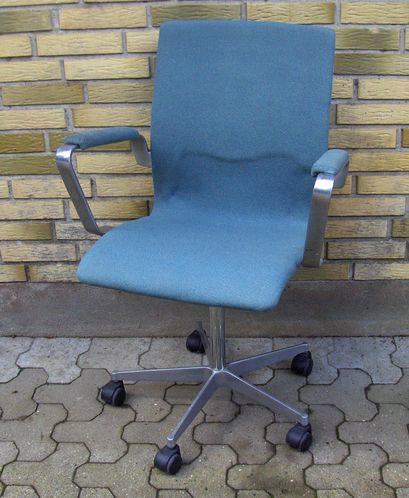 Arne Jacobsen Oxford desk chair, with use wear,holes on fabric and no fabric on armrests. Price 1800 kr. No.11928. Easy chair, with holes on fabric and dry foam. Price 1900 kr. No.11929. 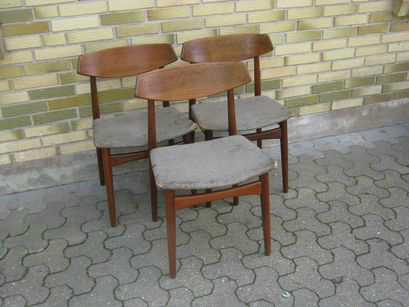 Set on 3 chairs in teak, with holes on fabric and some marks on legs. Set price 1500 kr. No.11932. 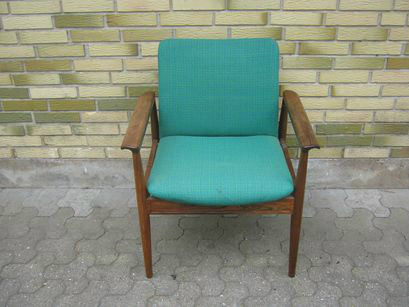 Børge Mogensen easy chair model 2207 with use wear and some crackings. Price 4000 kr. No.11952. H W Klein stool, with some use wear. Price 1100 kr. No.11974. Piano stool in teak, with use wear and some marks on the wood. Price 850 kr. No.11976. 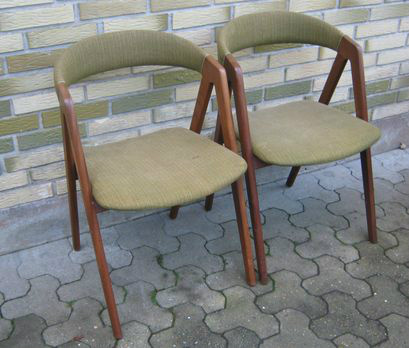 Pair of N O Møller chairs in teak, with use wear and damage to cords. Set price 2000 kr. No.11989. 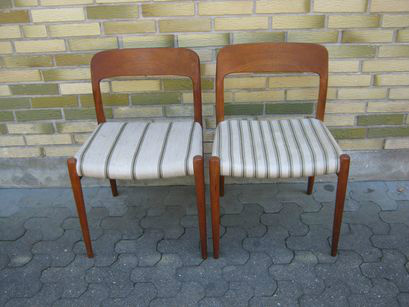 Pair of chairs in teak, with use wear. Price 1100 kr. No.11993. 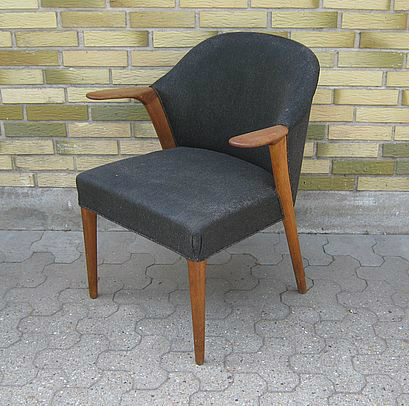 Ejnar Larsen and Aksel Bender Madsen armchair in oak, with use wear and dry foam. Price 850 kr. No.11990. 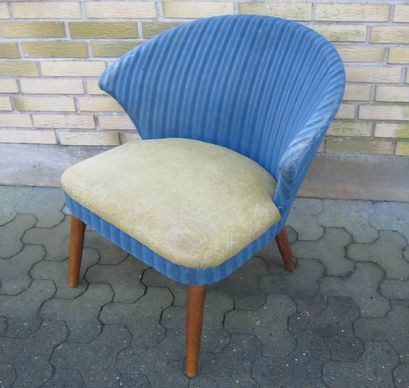 Easy chair, with some use wear on fabric. Price 1100 kr. No.11998. 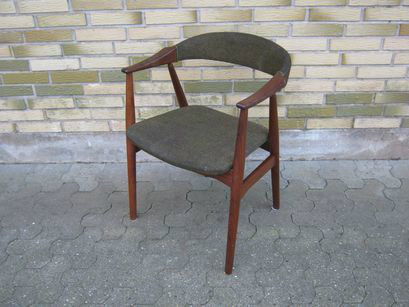 Erik Buch chair in teak, with use wear. Price 450 kr. No.11991. 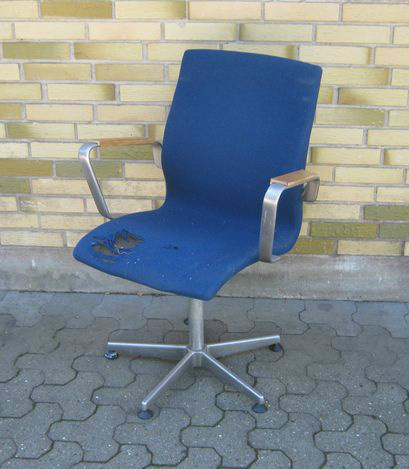 Super nova falcon chair, with use wear and stains. Price 2300 kr. No.11994. 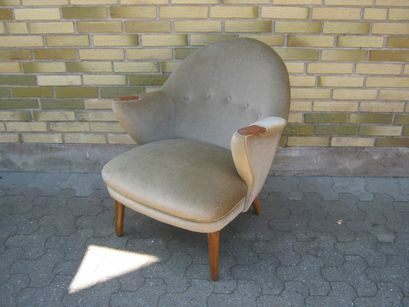 Easy chair, with some use wear and stains. Price 1100 kr. No.12009. Set on 6 chairs in teak, with use wear. The chairs have has black artificial leather under the cover. Set price 3800 kr. No.12012. 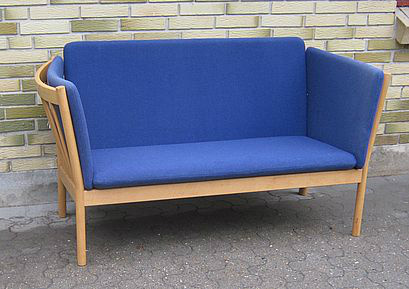 Hans J Wegner Ge-375 2 pers sofa in oak, with use wear and holes on fabric. Price 7900 kr. No.12014. 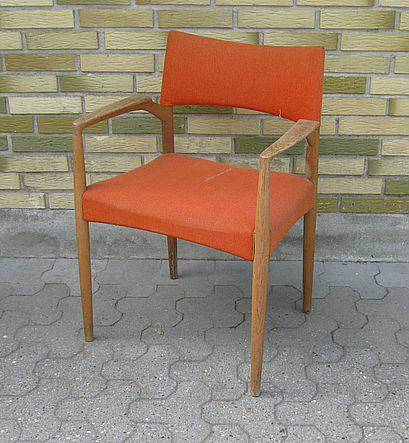 Hans J Wegner Peters chair, in beech with use wear. Price 1300 kr. No.12016. 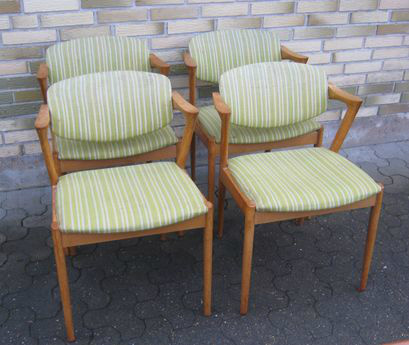 Kai Kristiansen set on 4 chairs in oak model 42, with use wear and some stains on fabric. Set price 7200 kr. No.12025. 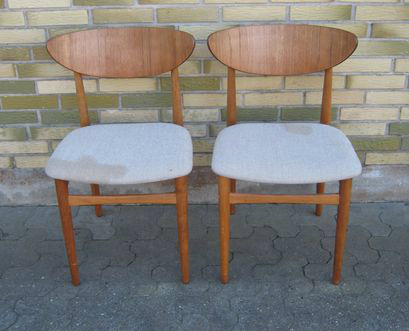 Svend Skipper pair of stools, with use wear. Set price 1500 kr. No.12027. 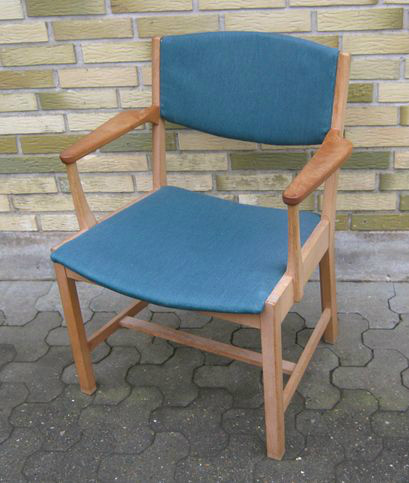 Easy chair by Getama model GE-88 in teak, with use wear on fabric. Price 2600 kr. No.12029. 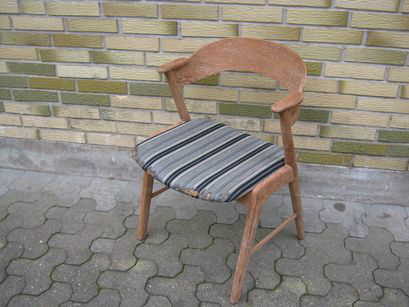 Easy chair in fabric and oak, with use wear and slightly dry foam. Price 3200 kr. No.12030. 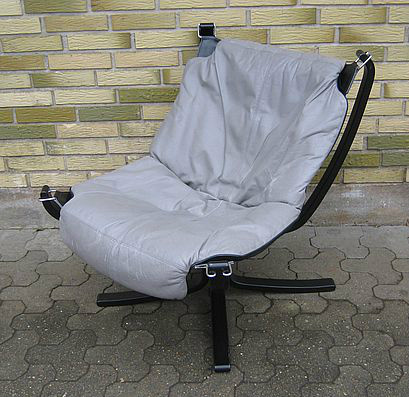 Folke Ohlsson easy chair, with use wear and slightly dry foam . Price 3000 kr. No.12070.RES/ON HOLD. 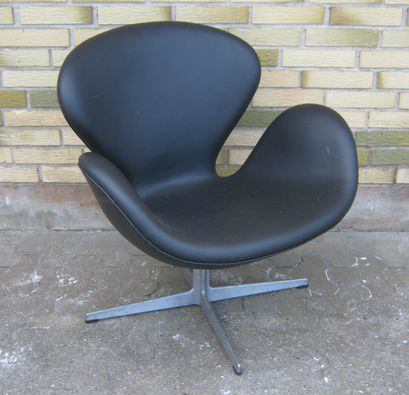 Arne Jacobsen swan chair by Fritz Hansen. It is the early model, with new leather in good condition. Price 17500 kr. No.12071. Pair of chairs in oak, with stains and use wear on fabric. Set price 1600 kr. No.12072. 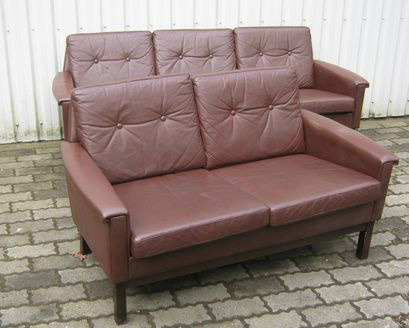 Erik Jørgensen 2 pers sofa, with use wear, small holes and sun-bleached on fabric.2800 kr. No.12073. 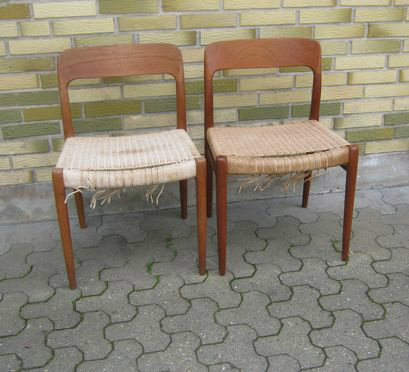 Erik Jørgensen pair of chairs, with use wear and sun-bleached on fabric. Set price 2200 kr. No.12083. 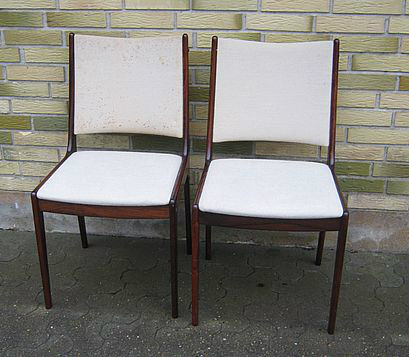 Pair of arm chairs in teak by France and Son, with use wear. Set price 3800 kr. No.12086. 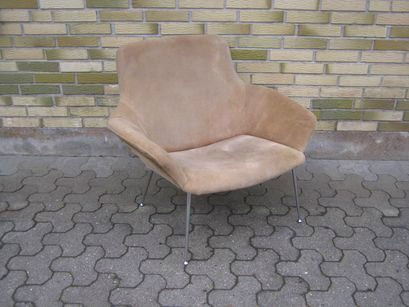 Poul Nørreklit easy chair in suede, with use wear. Price 8000 kr. No.12082. 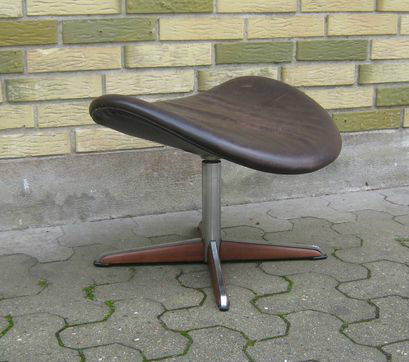 Niels Otto Møller stool in mahogany, with use wear. Price 1200 kr. No.12087. 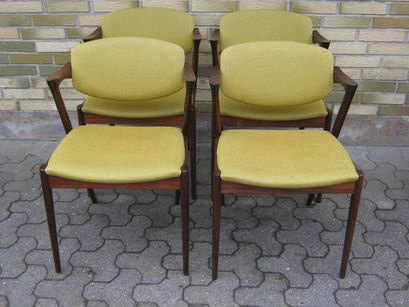 Kai Kristiansen set on 4 rosewood chairs, with use wear and small holes on fabric.. Set price 11200 kr. No.12088. 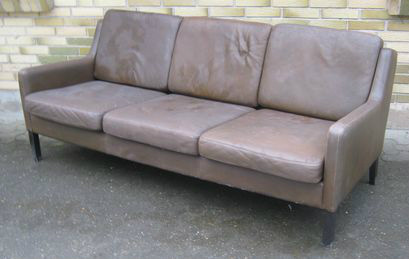 Sofa set 3+2 pers, with use wear and smells of smoke. Set price 4900 kr. No.12089. 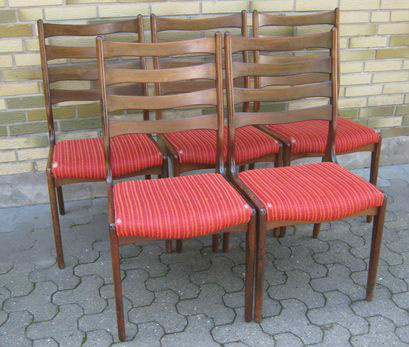 Erik Buch set on 4 chairs in rosewood, with use wear. Set price 1800 kr. No.12092. 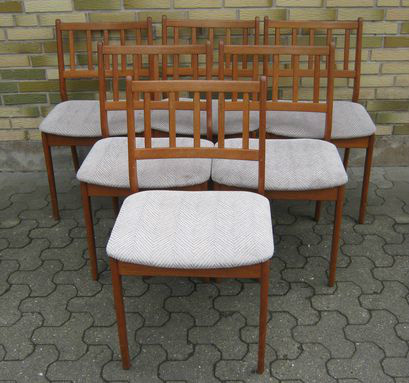 Niels Otto Møller set on 6 chairs in teak no 78, with use wear and stains. Set price 15900 kr. No.12094. 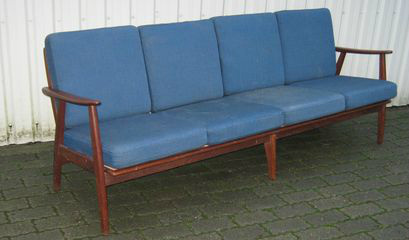 Vintage sofa in teak and fabric, with use wear and some stains. Price 3200 kr. No.12096. 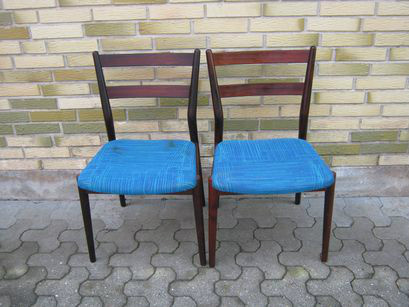 Johannes Andersen pair of chairs in rosewood, with some use wear. Set price 1000 kr. No.12097. 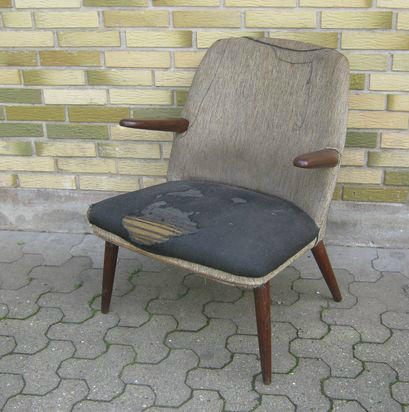 Falcon chair, with use wear. Price 2600 kr. No.12098. 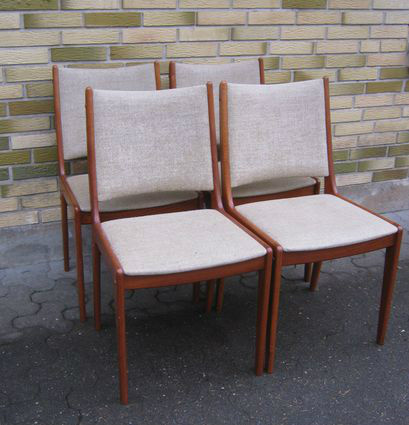 Kai Kristiansen set on 4 chairs in oak, with use wear and small holes on fabric. Set price 7200 kr. No.13001. 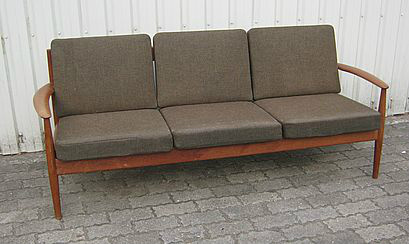 Grethe Jalk sofa in teak, with use wear and small holes on fabric. Price 9900 kr. No.13003. 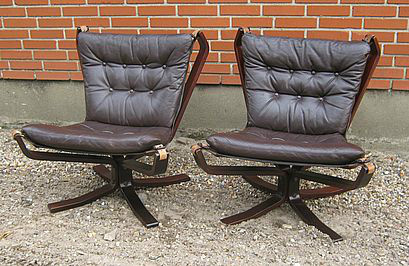 Super nova pair of easy chairs, with use wear. Price 4800 kr. No.13004. 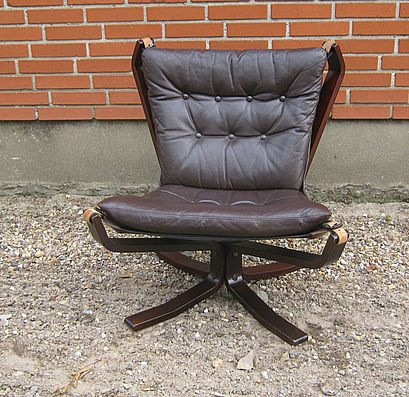 Super noav easy chair, with use wear. Price 2400 kr. No.13005. 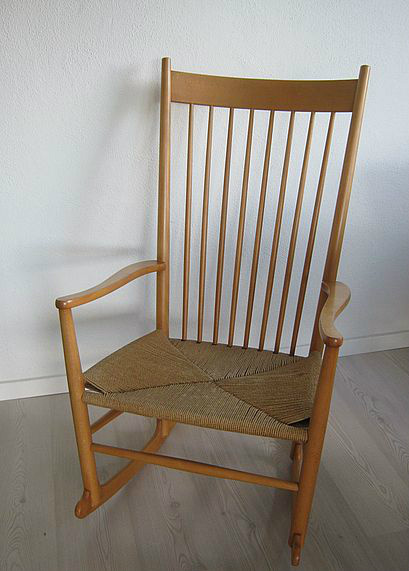 Erik Kirkegaard arm chair in oak, with small hole on the seat. Price 1000 kr. No.13006. 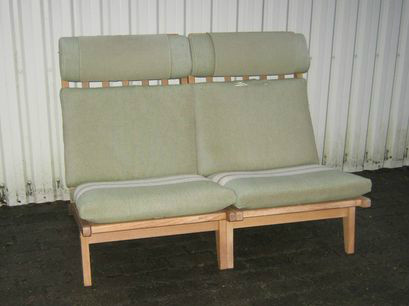 Erik Jørgensen 2 pers sofa in beech, with use wear. Price 2600 kr. No.13007. 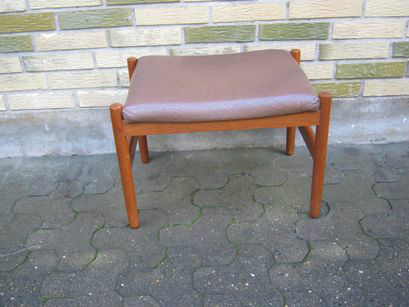 Grethe Jalk easy chair in teak, with use wear, dry straps at the bottom and small holes on fabric. Price 5600 kr. No.13008. Pair of easy chairs in Falcon still. Set price 2900 kr. No.13009. Pair of easy chairs in Falcon still. Set price 2900 kr. No.130012. Arm chair in oak, with use wear and stains on fabric. Price 650 kr. No.130013. 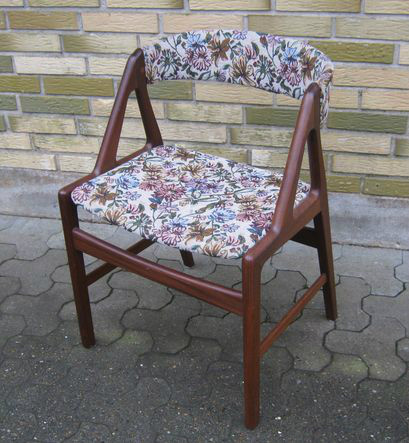 Arm chair in teak, with use wear and stains on fabric. Price 1800 kr. No.130035. 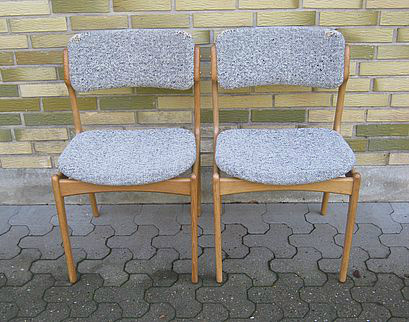 Erik Buch, pair of chairs in oak, with use wear and holes on fabric. Set price 800 kr. No.130038. 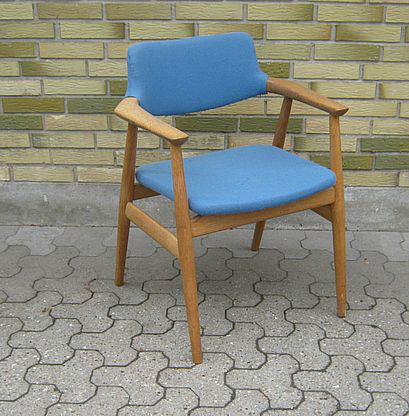 Hans J Wegner easy chair GE-260 in oak, with use wear and small hole on fabric. Price 6400 kr. No.130054 RES/ ON HOLD. 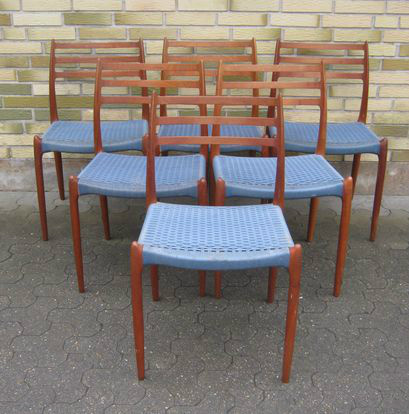 Kai Kristiansen set on 6 chairs in teak, with use wear and holes on fabric. Set price 4500 kr. No.130055. 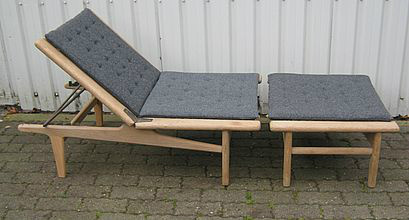 Poul wolther daybed in oak, with use wear on fabric. Price 2800 kr. No.130058. 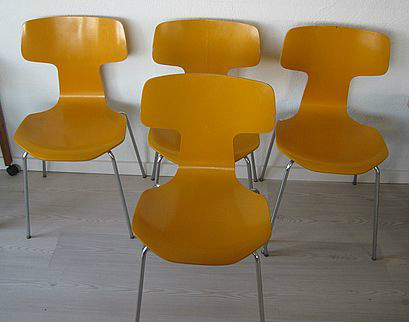 Arne Jacobsen set on 4 T-chairs. The chairs have heawy use wear on paint. Set price 3000 kr. No.130065. Hans J Wegner daybed in oak, model GE-1. Its has some use wear and rust on spring. Price on request. No.130067. 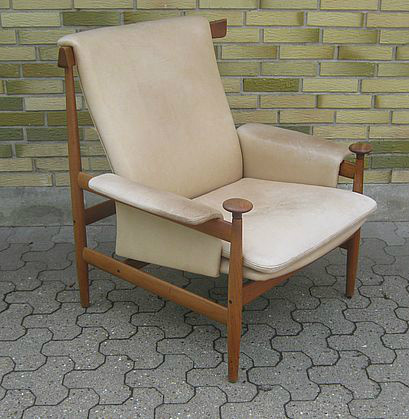 Finn Juhl Bwana chair in teak, with use wear and Small reef on armrests. Price on request.